When Japan attacked Pearl Harbor, the crew of an American seaplane were caught off guard near New Zealand. 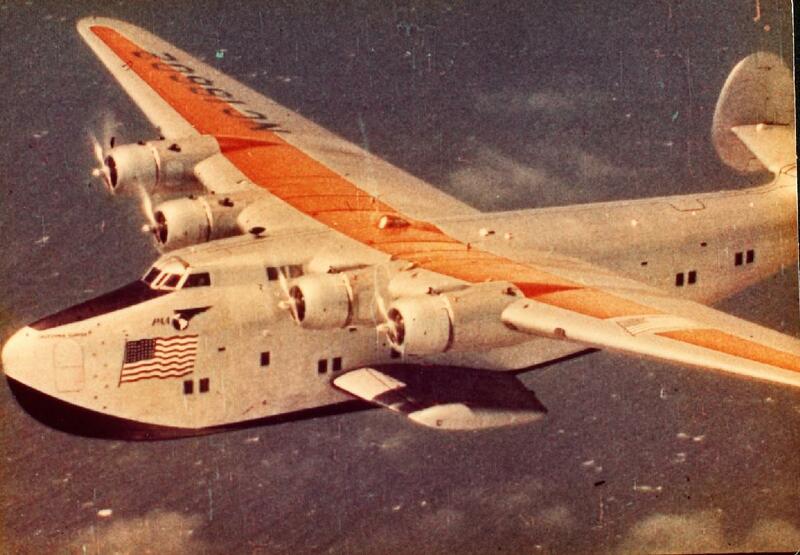 Unable to return across the Pacific, they were forced to fly home “the long way” — all the way around the world. 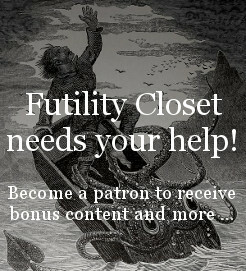 In this week’s episode of the Futility Closet podcast we’ll follow the adventures of the Pacific Clipper on its 30,000-mile journey through a world engulfed in war. We’ll also delve into the drug industry and puzzle over a curious case of skin lesions. In the 18th century Italian artist Giovanni Piranesi began to turn out etchings of fantastic prisons. Spanish philologist Valentín García Yebra contends that this six-word Portuguese poem can’t be translated effectively into another language. Ed Dover, The Long Way Home, 2010. Archie Satterfield, The Day the War Began, 1992. C.V. Glines, “The China Clipper, Pan American Airways and Popular Culture,” Aviation History 18:1 (September 2007), 69-70. C.V. Glines, “Clippers Circle the Globe,” Aviation History 17:4 (March 2007), 34-43. John A. Marshall, “The Long Way Home,” Air & Space Smithsonian 10:2 (June/July 1995), 18. Wolfgang Saxon, “Robert Ford, Clipper Pilot of 40’s Who Circled Globe, Dies at 88,” New York Times, Oct. 19, 1994. “World Travelers Pearl Harbor Turns a Routine Pan Am Clipper Flight Into a 31,500-Mile Odyssey,” Chicago Tribune, Dec. 3, 2000. Byron Darnton, “Pacific Clipper, Racing War, Circles Globe, Lands Here,” New York Times, Jan. 7, 1942. “Pacific Clipper at Noumea,” New York Times, Nov. 11, 1941. “Pan Am’s Pacific Clippers,” Pacific Aviation Museum, Sept. 14, 2011. Robert van der Linden, “December 7, 1941 and the First Around-the-World Commercial Flight,” Smithsonian National Air and Space Museum, Dec. 8, 2011. John A. Marshall, “Celebrating the 75th Anniversary: The ‘Round The World Saga of the ‘Pacific Clipper,'” Pan Am Historical Foundation (accessed April 1, 2018). Nicola Nosengo, “Can You Teach Old Drugs New Tricks?”, Nature, June 14, 2016. James Rudd, “From Viagra to Valium, the Drugs That Were Discovered by Accident,” Guardian, July 10, 2017. Thomas A. Ban, “The Role of Serendipity in Drug Discovery,” Dialogues in Clinical Neuroscience 8:3 (September 2006), 335–344. David W. Thomas et al., “Clinical Development Success Rates 2006-2015,” BIO/Biomedtracker/Amplion, 2016. Charlie Sorrel, “The Bicycle Is Still a Scientific Mystery: Here’s Why,” Fast Company, Aug. 1, 2016. Michael Brooks, “We Still Don’t Really Know How Bicycles Work,” New Statesman, Aug. 6, 2013. Michael Brooks, “How Does a Bicycle Stay Upright?”, New Scientist, Sept. 2, 2015. This week’s lateral thinking puzzle was contributed by listener Arabo Avanes. Here are two corroborating links (warning — these spoil the puzzle).